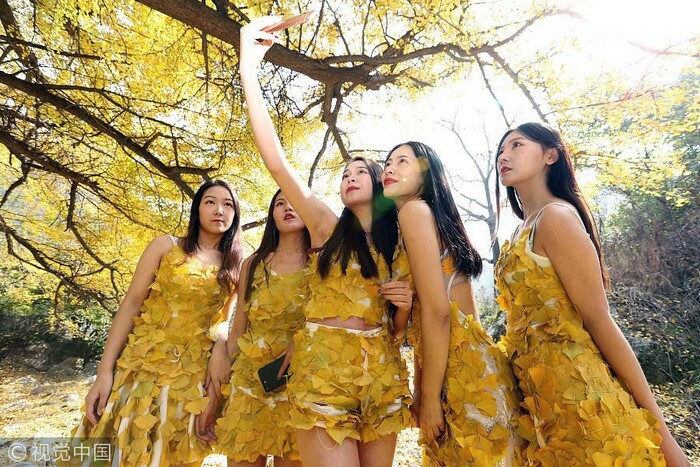 Henan: Five students from a public college of Henan province in China took a selfie in golden dress made up of gingko leaves at the heights of Baiyun Mountain in Luoyang on Oct 29, 2017. The students belong from the major fashion design in Zhengzhou. They brought a new idea on dresses in the form of golden cloths. 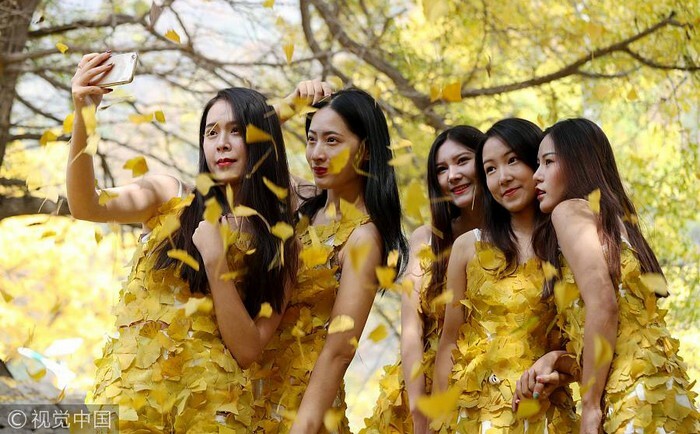 They just made the skirts and dresses from the leaves of Gingko trees in the Baiyun Mountain and post their picture on social media. The mountain is a famous for tourism and have great attraction by tourists. It is also well-known as the natural museum due to the forest coverage rate of over 98.5 percent.